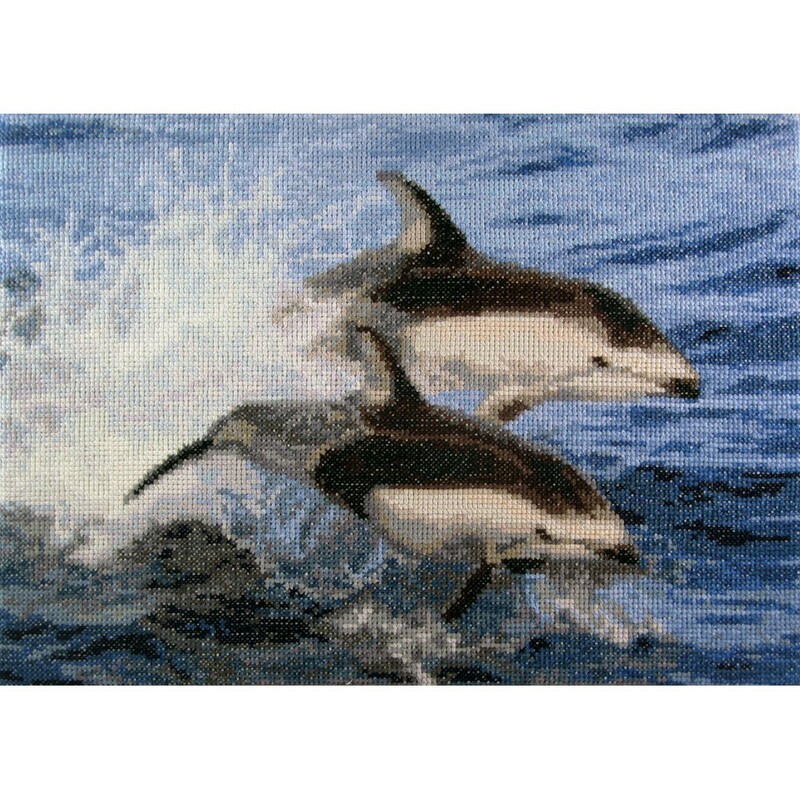 Cross stitch kit of wild dolphins jumping out of the ocean. Very realistic but simple to make, only 34 colours. With DMC floss and high quality Zweigart aida, 14 count. 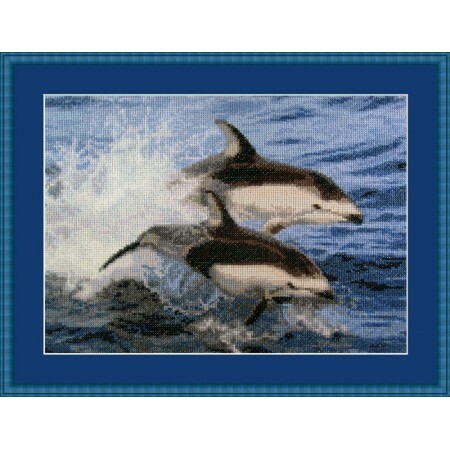 This small and fun cross stitch kit shows a smiling dolphin. It is a small but realistic cross sti..
Cross stitch kit of killer whales in different poses. Showing their true beauty. 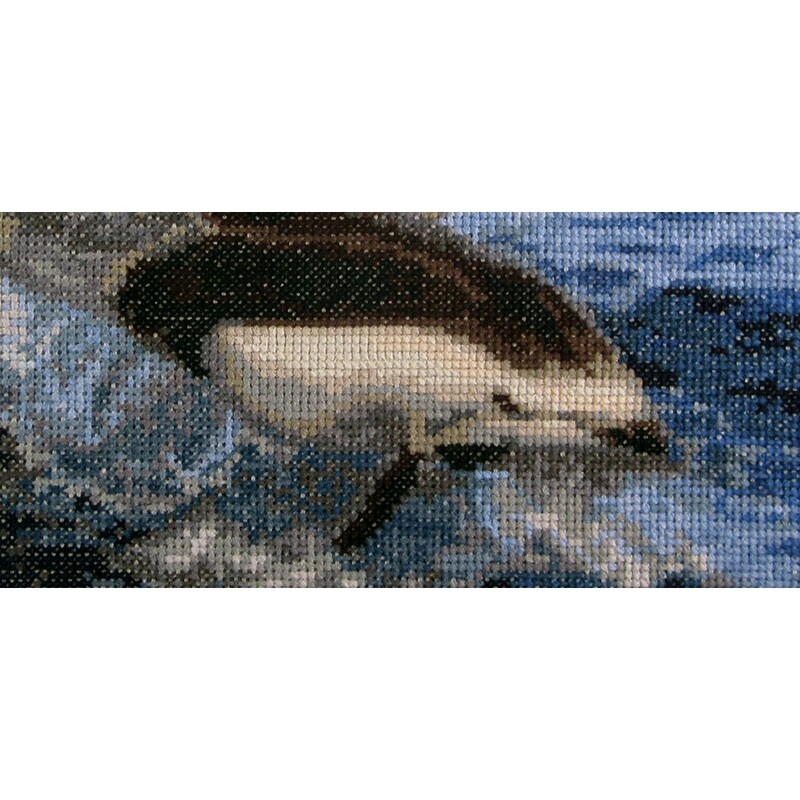 Large kit, but only..
A very special cross stitch kit of a Great White Shark deep in the ocean. With a very realistic un..